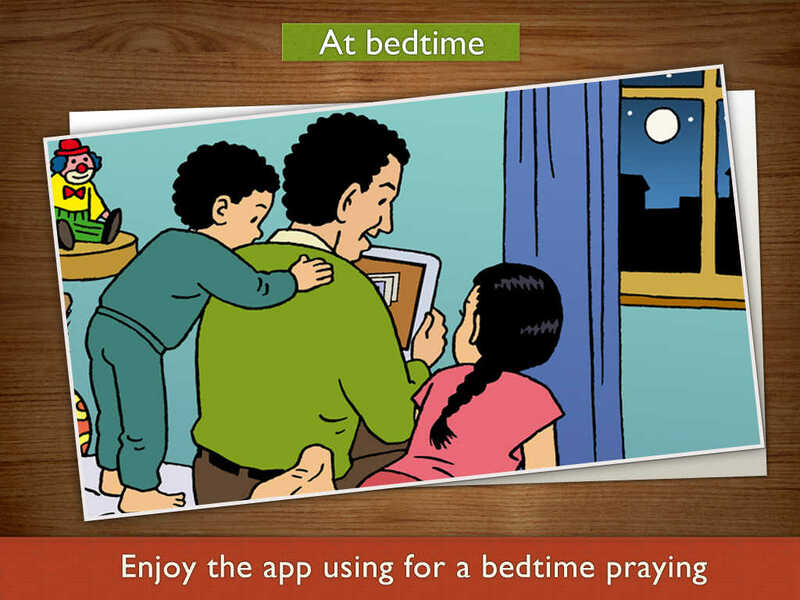 Children's Prayer is an app for Christian families, teachers and catechists with kids of all ages. • A new Bible prayer every day. More than 500 prayers available on 65 thematic series. • An easy way to share, at any place or circumstance, the Word of God with children. • PREMIUM Version with all features and all contents, no In-App purchases and completely Kids Safe! 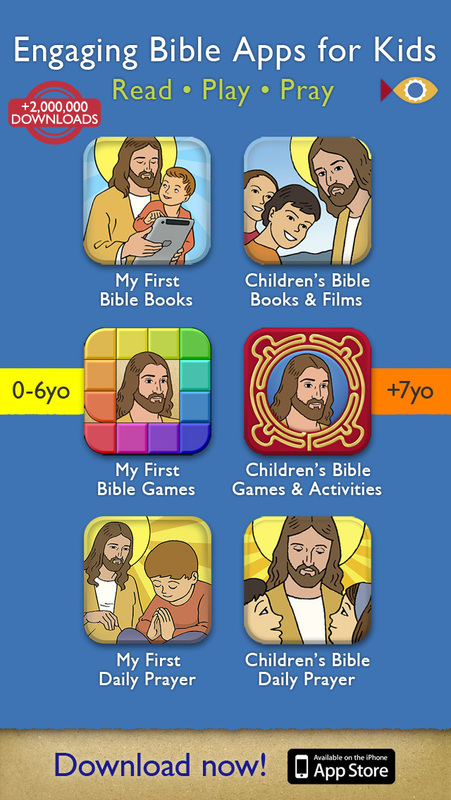 Don't miss out our apps to engage your kids with the Bible. +2,500,000 downloads worldwide! The Bible often speaks more clearly to a child than to an adult; don't be afraid to dialog with your kids about it. It will also be a blessing for you! • A simple tool to help your children understand the Word of God. • Keep praying and teaching your children the Bible with it. • Free to pray – you’ll love it! • Read and learn the Truth every day with devotion and faith. • An app you must experience to appreciate. Spread the Word! Gift the app to your friends and share our mission. If you want to know their experiences using Children's Prayer app don't miss out their more than 2000 reviews! Average Rating for all countries 5.0. 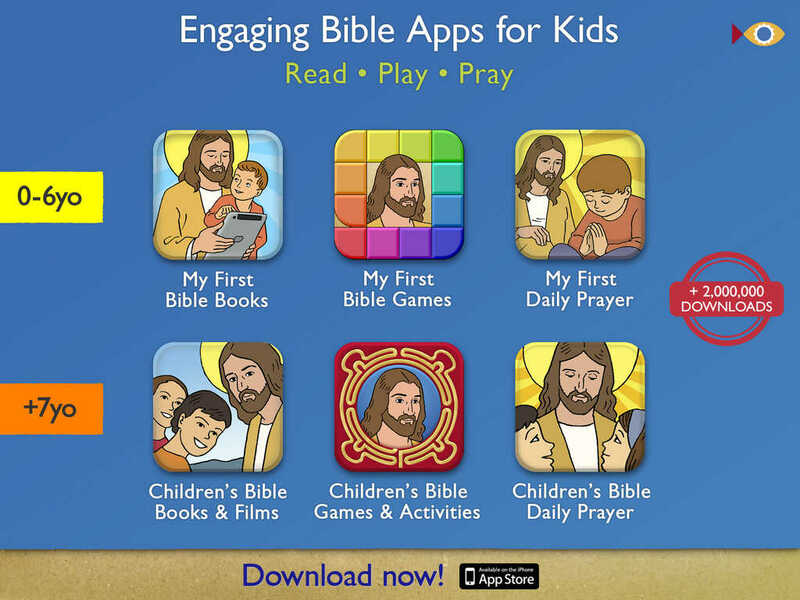 • Children's Prayer is an app for iPhone, iPod Touch and iPad that daily provides a quote from the Bible and a question about it, as a basis to begin a prayer or a dialogue with your kid within the family, at school lesson or at Sunday school. • If in this hurry-up world you feel the need to share some time with your children praying or talking about God, Children's Prayer is for you. • If you believe that “All Scripture is inspired by God and is useful for teaching the truth, rebuking error, correcting faults, and giving instruction for right living”, Children's Prayer is for you (2 Timothy verse 3:16). • If you are involved in a Children's Ministry and need a resource full of Bible quotes to comment and pray with kids, Children's Prayer is also for you. “Let the children come to me, and do not stop them, because the Kingdom of God belongs to such as these”. Mk 10:14. 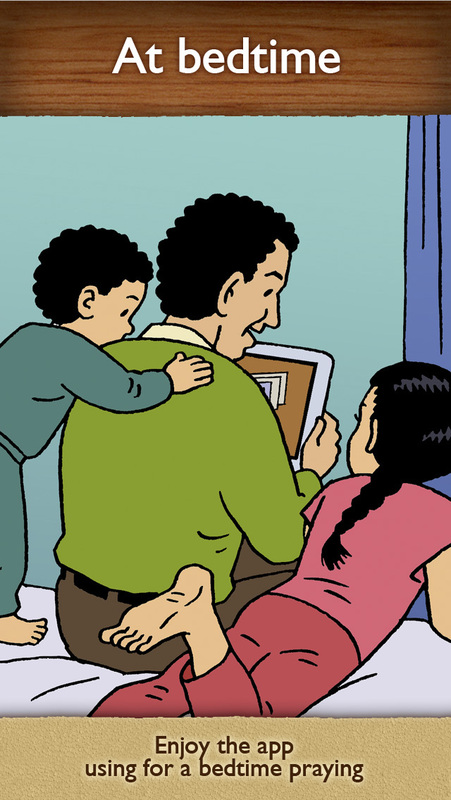 What does it mean to say the Kingdom of God belongs to people like children? Main version: Good News Bible of the American Bible Society. • Kids Safe Mode: if parents active the Kids Safe Mode then kids cannot access to the in-app-purchases nor jump to external contents or apps (App Store, Twitter, Facebook, e-mail, web browser…). Go to Apple Settings App and tap "Child's Prayer". By the way, App Store reviews are very helpful to us. If you think Children’s Bible Daily Prayer is worthy, would you mind taking a moment to write a nice review? We’d greatly appreciate it. • Please note that we cannot reply to reviews and feedback here on the App Store, so please use the support email contact@childrenbible.org if you need assistance.